Hello, my name is Anne i am making this campaign for Marcos and his family he is a blind man. I have seen him standing in the corners selling brooms and mops he is being wrongfully accused of “assulting a cop” Marco Zepeda says on Friday he was trying to find an open urinal in the QuikTrip restroom. 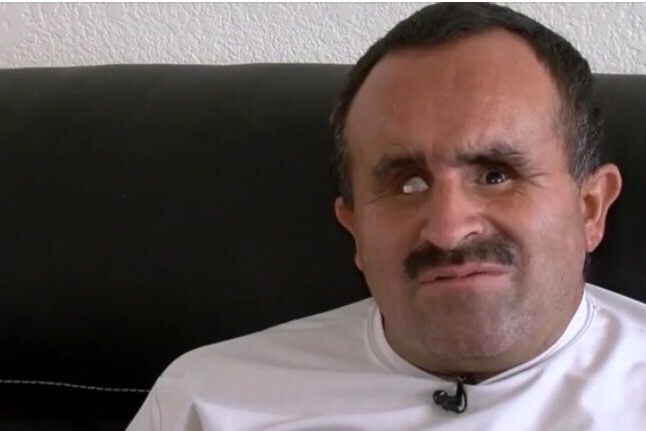 he was snapping his finger and skimming his hand against the wall to navigate due to his blindness. As he approched a urinal, someone screamed at him and pushed him that someone was a uniformed Police Officer. he didn't realize that because the officer didn't identify himself. Due to his condition, he said he is pushed around or sworn at while in public on almost a daily basis. Admitting that he pushed him back After feeling the radio on the man's uniform, Zepeda said he let up and was taken to the ground. "I said a couple times to him, 'I'm blind, please, leave me alone -- I didn't know you were a [police officer]," he said, telling ABC15 a conformer device in his right eye socket fell onto the bathroom floor during the encounter. "He saw that thing on the floor," Zepeda said. "I turn around to him and I go, look at my eyes, I'm blind, I didn't know you were a [police officer] and, even that, he didn't care." Marcos spent the night in jail. I will be contacting him or someone that personally knows him to take over this campaign. This video was recorded by a witness that was there. Este video fue grabado por un testigo que estubo ayi. This is a video of a witness that was there to see it all. Este video es de un testigo que estubo ayi.